Super Habit - Build healthy daily habits and improve your life! 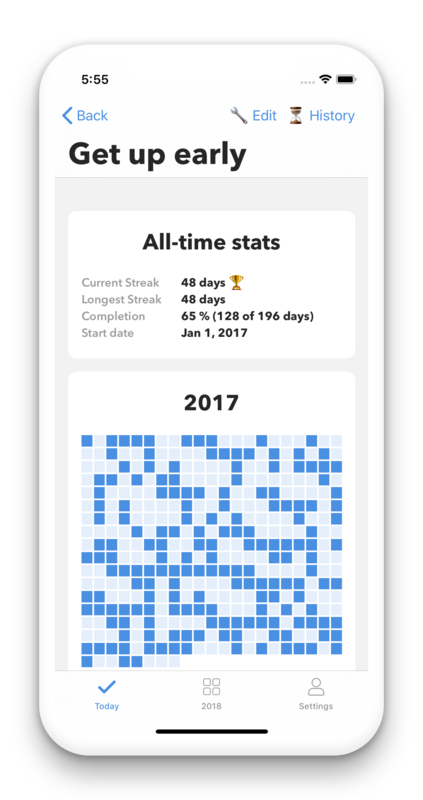 Your progress and streaks on a yearly calendar. © 2018 Super Habit. All Rights Reserved. Made by Kevin.